Chevrolet Camaro Window Tint at Tint Magic Coral Springs Window Tint, Before and After. 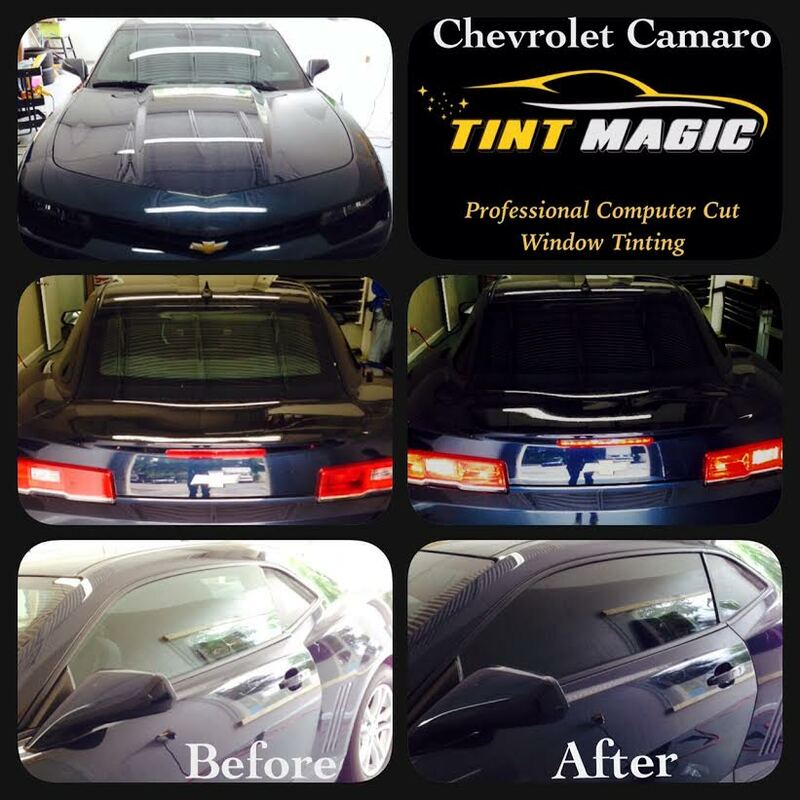 For enhance the appearance of your car and protect your skin from the damage of the sun call to Tint Magic Coral Springs at 954-840-7883. We have high quality film and lifetime warranty in our packages. Visit us at 11344 Wiles Road Coral Springs 33076. Chevy swears the 2016 Camaro is lighter, faster, and put simply, better, than its ancestors. And after a couple of hot laps around Detroit’s IndyCar race course, our reply is simple. We agree. The 2016 Edition is a demonstrative step forward for theCamaro. Carmakers always say their products handle better, especially sports cars. But in this case, it’s true. Chevy cut more than 200 pounds from the Camaro’s curb weight, and it shows. The new platform makes a major difference, too. The result is the 2016 Camaro drives more like a sports car than its predecessor, which feels bulky and dated in comparison.